Brilliant minds. Innovative culture. Industry leaders. Are those the words that come to mind when you think of the career path you are on? If not, they should be. At Optiv, our diverse and talented employees are committed to helping businesses, governments and educational institutions plan, build and run successful cyber security programs. For our identity and access management (IAM) group, it all starts with collaboration and teamwork. We recently sat down with Optiv’s vice president of IAM Bryan Wiese, and Robert Block, vice president of strategic solutions of the IAM team. Before we dive into what they had to say about working in that space, they shared a brief overview of the current industry landscape. The identity and access management space is evolving and expanding at a rapid pace. Focus is now shifting from being rooted in the core tenants of password and identity access management, to areas like privilege identities and dealing with insider threat when it comes to a breach, shared Wiese. Optiv is adjusting to that change and we’re evolving with it. 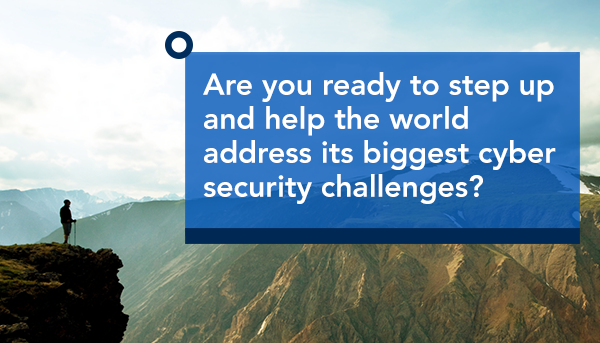 Our goal is to help clients choose their best path forward and effectively execute their holistic security strategy. We understand that in order to truly secure your enterprise, you need to ensure that only trusted employees, partners and consumers can seamlessly access the right applications using trusted devices. Having a nimble and adaptable to change approach is a must in today’s ever-changing information security landscape. “Some of the biggest challenges in IAM today are some age-old issues,” said Block. “The disconnected nature of repositories and users, how to get users access and how to govern that access more effectively, are some of the problems that have been around for decades and clients are still trying to challenge and solve them today,” added Block. In addition, he cites the explosion of cloud and SaaS-based applications, enhancing the user experience through Single Sign On, and providing strategic consulting and business planning services as the newest challenges and growing demands in the industry. If you are looking for a dynamic and collaborative environment where you can grow and thrive, the IAM space offers all that and more. “The diversity of what I get to do every day is definitely one of my most favorite things about working at Optiv. We work with clients that range anywhere from 1,000 to 270,000 employees,” said Block. “On a day-to-day basis, I may interact with six to 10 different clients across different verticals – all challenging and tackling a common set of IAM problems. This never allows for a dull moment,” he added. If you want to join a culture that supports growth, fosters success and moves the industry forward, find your place at Optiv. Click here to check out our career opportunities and connect with a talent acquisition partner today.